Structural Equation Modeling is a five-day workshop focused on the application and interpretation of statistical models that are designed for the analysis of multivariate data with latent variables. Although the traditional multiple regression model is a powerful analytical tool within the social sciences, this is also highly restrictive in a variety of ways. Not only are all variables assumed to have no measurement error, but it is also limited to a single dependent variable with unidirectional effects. The structural equation model (SEM) generalizes multiple regression to include multiple dependent variables, reciprocal effects, indirect effects, and the estimation and removal of measurement error through the inclusion of latent variables. The SEM is a general framework that allows for the empirical testing of research hypotheses in ways not otherwise possible. In this workshop we provide a comprehensive exploration of the SEM with topics ranging from introductory to advanced, as described in detail below. Our workshop is designed for graduate students, post-doctoral fellows, faculty, and research scientists from the behavioral, social, and health sciences. Although it is recommended that participants have a working knowledge of the general regression model, these core concepts will be reviewed at the beginning of the workshop. Our motivating goal is to provide an intense yet enjoyable instructional experience that focuses on a large number of both introductory and advanced topics in structural equation modeling. We strive to strike an equal balance between core concepts of the underlying statistical model along with the practical application and interpretation of structural equation models fitted to real empirical data. 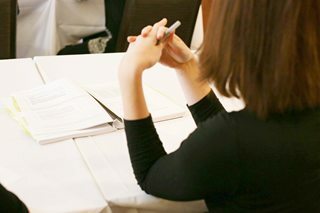 Our workshop is designed to provide participants with the materials and instruction needed to both develop a real understanding of the structural equation model and to be able to thoughtfully apply a variety of basic and advanced models to their own data. Thank you for such an amazing workshop! I learned so much and cannot wait to dig into my dissertation data! The concepts and practical applications are hard for me, but in this class I really felt like I’ve had some Eureka moments. It really came together for me. I think that speaks to both of your teaching abilities, the format of the class, and the organization of the materials. I love the dynamic between you two and your teaching styles complement each other well. I had a blast, a really good time, and loved it. Everything is a strength — balance between lecture/practical, the pace at which the material is delivered, the course material/resources, etc. Really just everything. The workshop does a great job of explaining MLM on a conceptual level and provides useful examples to better understand the modeling. The instructors were great at teaching the material and were very open to answering questions. This workshop strikes a perfect balance between theory and practical applications. I particularly appreciated this as my MLM grad class was several years ago, so this was a refresher and an extension now that I have the data to actually analyze. Dan Bauer and Patrick Curran co-teach the workshop and alternate lecturing throughout the day. We provide approximately 35 hours of total lecture time as well as a bound copy of the course notes and the computer demonstrations (approximately 600 pages total). Although there is not a hands-on computer lab component to this workshop, we provide extensive live demonstrations in Mplus, R, and Stata and distribute the data and syntax files for all examples. Further, participants are welcome to bring personal laptop computers to follow along with the software demonstrations or to work on their own data applications. Please see sample copies of the lecture notes and Mplus notes (R and Stata notes parallel the Mplus notes). Note that an electronic version of the full computer notes is also provided for AMOS, as well as key examples in LISREL, but live demonstrations are not provided for these programs. We have reserved a block of rooms in the Hampton Inn at a reduced rate that will be available until four weeks prior to the workshop or until the block is sold out. The hotel offers a wide range of amenities including workout facilities, a swimming pool, coin operated laundry, and much more. Rooms can be booked through online reservations or via phone at 919.969.6989 (refer to SEM group code).